For a one-time, intimate evening that is sure to go down in history, two of Canada’s most important stars collide – one an architectural gem of Nova Scotia’s South Shore and the other a decades-celebrated singer songwriter. On the 24th of August, the turn-of-the-century Lunenburg Opera House in the UNESCO World Heritage town of Lunenburg, Nova Scotia, welcomes national treasure, Gordon Lightfoot to its stage. 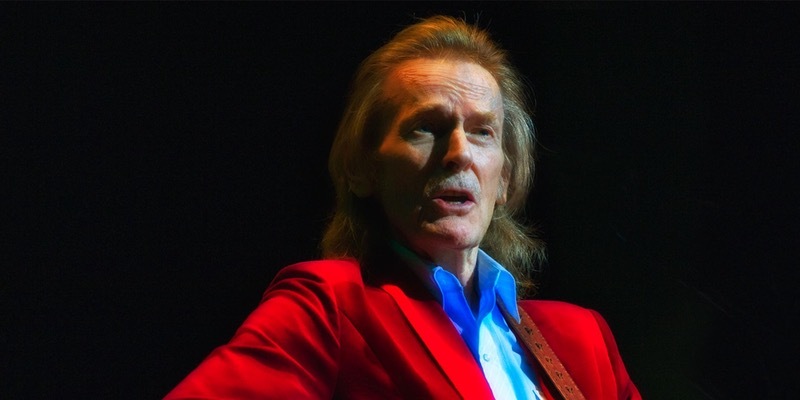 Beloved by music fans around the world, Gordon Lightfoot holds international recognition and cover versions of his songs have been recorded by artists including Bob Dylan, Elvis Presley, Barbara Streisand and Johnny Cash. In 1971 he earned his first Top Ten hit when If You Could Read My Mind became an international sensation and in 1974, his single Sundown went to number one on the American charts, followed two years later by The Wreck of the Edmund Fitzgerald – it reached number two on the U.S. Billboard charts. In 2004, he released his 20th album: Harmony. Gordon Lightfoot has won 15 Juno Awards and has been nominated for five Grammy Awards. He was inducted into the Canadian Music Hall of Fame in 1986 and the Canadian Country Music Hall Of Fame in 2001. In May 2003 he was made a Companion of the Order of Canada and is also a member of the Order of Ontario. In 2004 he was inducted into the Canadian Songwriters Hall of Fame, and in 2012 into the U.S. Songwriters Hall of Fame. He continues to perform extensively throughout the United States and Canada and the Lunenburg Opera House is thrilled to be hosting this special night.